Lots of people ask about solar panel efficiency, but I usually find out that they don’t really know what the efficiency of a solar panel means. 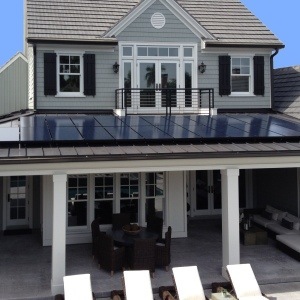 As it turns out, the definition of solar panel efficiency is pretty clear, but people are surprised to find out that its often not a deciding factor. Why is this? Solar panel efficiency simply measures how much solar radiation it can convert per square meter to usable electricity based on a standardized test condition. A particular solar panel might produce a lot more power than another, but that does not necessarily mean it is more efficient. It may simply be larger. 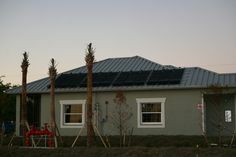 More efficient solar panels are typically more expensive on a per-rated-watt basis. Getting more out of a solar cell of a given size is challenging. It makes sense for a manufacturer to work to increase cell efficiency up to a certain point because there are fixed component costs for a given module size (glass, frame, junction box, etc.) However, generally speaking, more efficiency means more cost. 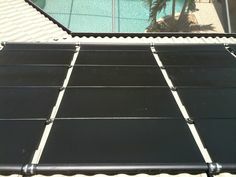 As a result, it might not make the best sense to seek a highly efficient solar panel. You should probably be more concerned with cost efficiency – the lowest cost per watt. (Note: really you want the lowest cost for the amount of energy the system will produce over its lifetime, which is largely, but not totally based on the rated wattage). One good reason to choose a highly efficient solar panel would be if the amount of space available for installation is a limiting factor. However, I find this is not usually a primary concern, and lower cost, lower efficiency solar modules are selected. Sometimes highly efficient solar panels, like SunPower, have other features that may make them a viable choice despite their higher dollars-per-watt price. If you are comparing solar panel efficiencies, just be aware that higher efficiency solar panels are not necessarily better. There is more to consider, especially cost. 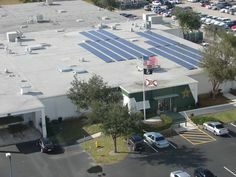 Next Post: Avoid Cape Coral’s Public Service Tax With Solar Electricity!